I am no longer a Democrat. However, St. Patrick’s Day reminds me of my days as a lonely Democrat in Rexburg, Idaho. 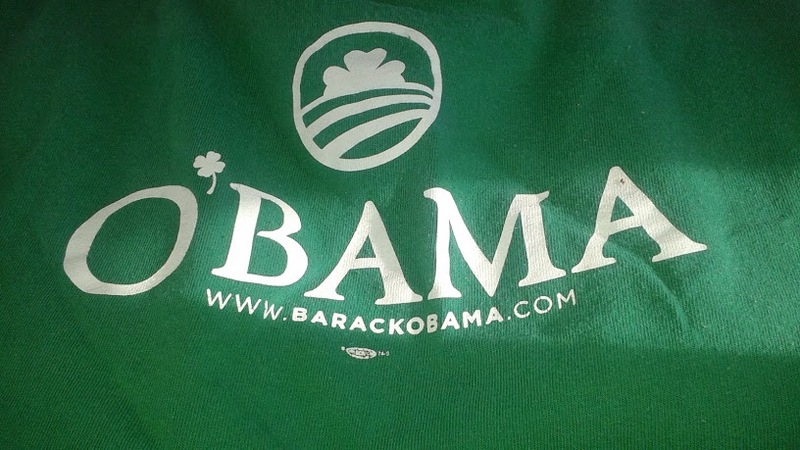 The reason St. Patrick’s Day reminds me of politics at all is that my only green shirt is a green Obama t-shirt that I bought in early 2008. I ordered it right after the Obama victory in the Iowa Caucuses. I had bought another Obama t-shirt late in 2007, and enjoyed wearing both around town in Rexburg, Idaho. At the time, I was teaching American Heritage and political science full-time at Brigham Young University-Idaho. The 2008 primary was fun for me. Partially because I enjoyed watching the bewilderment of Romney supporters as he lost the GOP nomination that year. Additionally, I was also an Obama fan. My initial reason for rooting for Obama was that I did not want Hillary Clinton to win. As an economic progressive, I was not a fan of Bill Clinton and I was not all that anxious to see the Clinton team return to the White House (though the Obama victory resulted in the Clinton economic team doing just that). But 2008 ended up being different. Being a Democrat is nothing radical. It just isn’t. But as a Democrat in Rexburg it sure felt like it sometimes. Especially as a Democrat with a sign in my yard and Obama t-shirts. Many Democrats keep a low profile about it. Keep in mind that McCain ended up with 85% in the 2008 general elections in Madison County. In 2012, Romney got 92 percent. I loved the dirty glares and the double takes. When the Obama sign went up in my front yard in November 2007, a neighbor asked if my students had played a prank on me. He was serious. I think that Mormon Democrats in general feel a bit more radical. Not because they are all that radical even by Democratic standards, but because they are such a small minority within our faith community and a stigmatized one at that. I actually think this tricks some Mormon Democrats and liberals into thinking they are actually doing something just by being a partisan Democrat on Facebook around their Republican Mormon friends and relatives. Sorry, that still does not count. Now that I belong to the Green Party, I think my green t-shirt selection should be improving in the near future. But I am enjoying my St. Patrick’s Day memories either way. Being a Democrat in Eastern Idaho actually happens to be a lot of fun right now too, as it looks like Republicans (which includes pretty much every other active member of my stake) are going to have to decide between Clinton and Trump. Tim, not sure if you’ll see this but I’d love to connect. We’ve started an Eastern Idaho LDS Dems group and are planning a summer BBQ to kick things off. I’d love to make sure you get details for that.